• Even low-end and old computers can digitize DVDs. • Parallel tasks on computer while ripping. High efficiency video processing involves in updated processors and GPUs. GPUs take media processing to accelerate video encoding/decoding and free up CPU for other tasks. Benefiting from GPU acceleration, video programs can deliver a faster workflow to handle UHD raw footage. In the industry, well-developed applications have employed GPU hardware acceleration with better and better support, while new developers also wrap this tech into their products earning smoother experience to process videos. Here, the most common video software with the integration of hardware acceleration is compiled, including video editor, player, transcoder and DVD ripper. Adobe Premiere Pro continues to show off its strong ability on video editing to generate creative work from footage. It works with a wide range of videos from 4K, HDR to virtual reality, from compressed videos to raw files shot by any device through color adjustment, transitions & effects on images, audio editing and more. 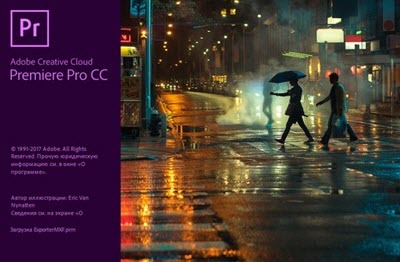 Through integration of Adobe Mercury Playback Engine, Premiere Pro takes advantage of NVIDIA CUDA-enabled GPUs boasting faster workflow for real-time video editing and output rendering, especially 4K footage. Plus, OpenCL GPU acceleration with AMD and Intel graphics is another choice for a faster performance on video encoding/decoding, rendering. A personal experience turns out CUDA works better with Premiere Pro (20% faster than OpenCL) while OpenCL offers accelerated solution for only AMD or Intel GPUs. 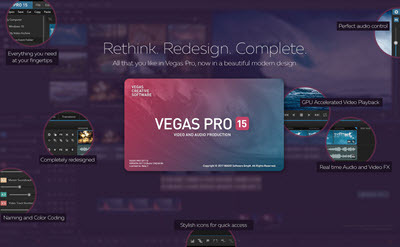 Sony announces Vegas Pro as an innovative nonlinear video editor with a customized interface full of flexibility. Smart editing tools lead an efficient workflow to create, render and output movie-like productions more quickly. The support of popular formats - like HEVC, AVC, XAVC in 4K/2K/HD - drive Vegas Pro to edit raw footage without rewrapping or transcoding. Disc authoring is simplified in the workplace offered by Vegas Pro. GPU acceleration in Vegas Pro is a weakness in early days. The latest 15.0 gives an improvement utilizing Intel QSV and NVIDIA NVENC for the new MAGIX AVC/AAC codec to further accelerate rendering and encoding. When the encode mode turns to be NVENC or QSV, the rendering time will be as much as half or even more of using Mainconcept AVC encoder (CPU). 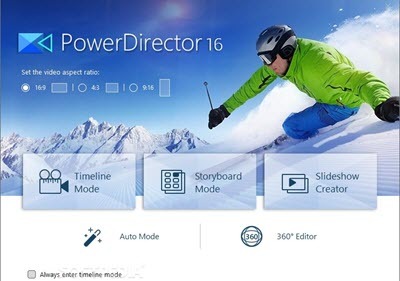 CyberLink Powerdirector is a favorable choice for amateur video creators who are going to create amazing works for family, trip, sports or other great moments. Color options aims to brighten and saturating the footage. Effects and transitions drive the video into a superior situation. Every desired part is maintained by trimming or joining. The highlight goes to 360-degree video editing helping export a perfect and stabilized work from raw shot by action cameras, for example GoPro. It enables hardware acceleration on effect processing, video encoding and decoding with the purpose of producing a greater performance to support 4K and new high efficiency codecs, for example HEVC. OpenCL support for AMD/Intel graphics greatly enhances the speed of rendering with effects. Unlike AMD/Intel GPU acceleration for whole video processing, NVIDIA GPU acceleration is only used for specific video effects with NVIDIA logo. Some video players supporting video decoding and processing can make the video playback more smoothly and keep crisp visual quality. Here are the top 5 hardware accelerated free video players for Windows. VLC is a free media player which can play most video/music files and DVD movie. VLC media player doesn't use hardware accelerated video decoding by default. You can turn it on by yourself, but if you meet problems in video playback with hardware acceleration on, you can also choose to turn it off later. Open VLC, click Tools > Preferences > Input & Codecs > Tick "Use GPU accelerated decoding" box, to enable hardware acceleration in VLC. The most popular hardware accelerated free video player is 5KPlayer. 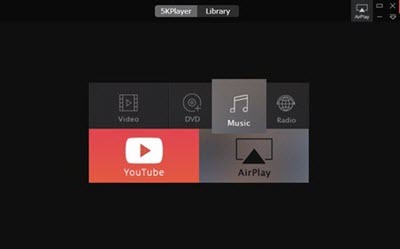 5KPlayer is a 3-in-1 media player with music/video/DVD playing, airplay, and online video/music downloading functions combined into one. It is capable of playing all media files incl. HEVC/MKV/M2TS/MP4/AVI/WMV/FLV, 720p/1080p/4K/5K/8K UHD videos, HD Camcorder, Blu-ray videos, AAC, AC3, WMA, and FLAC & ALAC, and almost any other video/audio files. Extremely easy-to-use and 100% secure. Playing large video files like 8K/4K/drone videos will make the computer CPU heavily occupied, but you can enable hardware acceleration decoding to release some burden from CPU to GPU. 5KPlayer can fully Intel QSV, NVIDIA CUDA, DXVA to accelerate 4K H.264, 4K HEVC, 3D, VR video decoding process, etc. To enable hardware decoder in 5KPlyaer, you can: Open 5KPlayer and right click the main UI of 5KPlayer > Click "Hardware Acceleration" to manually enable HW decoding in 5KPlayer > Click "Allow hardware acceleration" and "Check hardware", to check which one your computer supports and tick it. GOM Player is a free media player with built-in support for most popular video formats. It can play AVI, MP4, MKV, FLV, WMV, MOV, and more by default. The hardware decoders of GOM Player are probably set up differently based on each media file's codec. You can choose either GOM Media Player's internal decoder or a particular hardware decoder for each codec. For instance, when playing a video file with H.264/MPEG2/MPEG4/MPEG1 codec, instead of using internal decoder, you can also select between "Nvidia CUVID Decoder", "Intel QuickSync Decoder", "DXVA 2.0 Decoder" and "DXVA 2.0 Decoder(Copy-back)"; playing a video with HEVC (H.265) codec, you can choose "Intel HEVC Software Pack" hardware decoder; while playing videos with VC-1/DivX/XviD codec, you can choose "Nvidia CUVID Decoder", thus, to accelerate the video processing speed. Windows Media Player is one of the first media players with video acceleration. Microsoft's own DXVA (DirectX Video Acceleration) API tech is the only GPU acceleration of video playback in Windows Media Player. 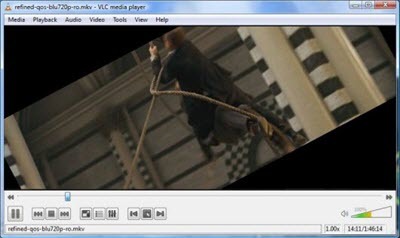 Windows Media Player 12 also offers support for GPU acceleration of WMV, H.264, VC-1 and MPEG-2 video files. Even though MPC-HC is a very basic video/audio player, it implemented GPU acceleration of video when DVXA became available. But the support of GPU acceleration is limited, namely, if you have an Nvidia video card, then only support videos with H.264 codec; if you have an ATI video card, then H.264 and VC-1 are supported. Besides, you also have to make sure that you use certain render settings in the player. Especially for large HD video content, MPC-HC uses DXVA Video Acceleration technology to offload video decoding operations to your modern video card, to enhance the viewing experience. FFmpeg offers a command-lined solution to transcode and stream video/audio cross platforms. It includes libavcodec assembling encoders/decoders to natively support a huge collection of formats containing mainstream MPEG4, H.264, HEVC, VP9, QuickTime, AVI, FLV etc, and several special standards. In collaboration with FFmpeg, many projects and programs for video playback or transcoding are developed and some of them become the leading software in the industry, for example VLC. 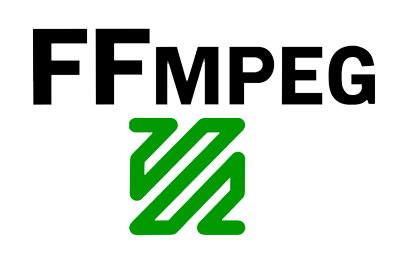 FFmpeg also wraps GPU acceleration for video decoding, encoding, filtering with low cost of CPU. Via NVIDIA Video Codec SDK, encoding & decoding for H.264/HEVC, decoding for VP8/9, MPEG2, MPEG4 can be accelerated with GPU. NVIDIA CUDA implementation plus FFmpeg built-in filters, high performance video processing can be accomplished. OpenCL with AMD/Intel is usable for avoiding redundant copies between CPU and GPU memory. On December 24, 2016, HandBrake release its 1.0.0 version adding HEVC encoder and VP9 video encoding via libvpx making it available to output a MKV file with HEVC/VP9 in better quality but smaller size. Another significant feature in HandBrake 1.0.0 is GPU acceleration for H.264/HEVC encoding is enabled via Intel QSV. Personal experience proves that quick sync for H.264 encoding is 60% faster than CPU encoding (CPU: i3-4130/iGPU: HD4400). Although feedbacks tell demands for NVIDIA graphics supports, HandBrake has no plan on it so far. WinX HD Video Converter Deluxe is a professional video converter and compressor with a perfect support for 4K UHD, HD and SD videos. It accepts numbers of inputs and outputs in various formats - HEVC, H.264, MPEG4, VP9, Xvid, DivX, MKV, MTS, MPEG2, MOV, FLV, 3GP etc. 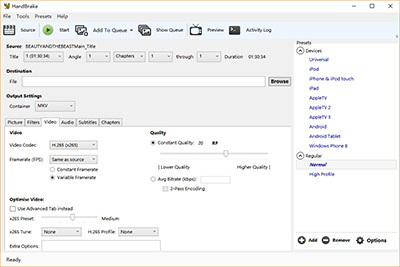 Profiles for devices, web, DVD are preset with precisely calculated parameters to wipe away complicated video/audio settings for specific output. It simplifies video compression with 1-step solution to downscale 4K to 2K, 4K to 1080P, 1080P to 720P and more. WinX HD Video Converter Deluxe started the utilization of hardware acceleration tech enabling Intel QSV and NVIDIA NVENC to build a faster and efficient performance of video transcoding on computer having OpenCL and CUDA compatible graphics from December 2015. It hires Hardware encoder and decoder acting on any format including HEVC for UHD, which assist CPU to hasten raw footage transcoding while hardware processing delivers its ability to maintain original image quality even if the footage is compressed. The only hardware accelerated video transcoder wraps video processing for quality preservation. Handbrake is a free and open-source DVD/video converter program, focusing on ripping DVD disc/converting video to MP4 or MKV digital file. The input can be DVD disc or video file. Supported output video codecs include H.264, H.265 (HEVC), MPEG-4 and MPEG-2. Its interface, operation, settings are a little bit complex, so it may be more suitable for experienced users. Need to mention that Handbrake itself can't rip protected DVD, Disney DVD or 99-title DVD. You need to use a third-party DVD decrypter to disable the DVD copy protection first. Sometimes the output video is distorted, especially when you choose H.264 (Intel QSV) or H.265 (Intel QSV) as output. WinX DVD Ripper Platinum is the only DVD ripper that has reached Level-3 hardware processing. It features intuitive interface and operation, No.1 fast DVD conversion speed, the support of all types DVD discs (incl. 99-title Disney DVDs), intact DVD disc to digital backup, best output quality, vast output formats and device profiles. WinX DVD Ripper Platinum delivers No.1 fast DVD disc to digital conversion speed with Intel QSV and NVIDIA (CUDA) NVENC hardware acceleration and Hyper-threading tech. It can utilize Intel QSV and take full advantages of Nvidia NVENC/CUDA GPU acceleration to fully speed up the video processing, e.g., deliver a high speed for ripping DVD to MP4 (H.264), up to 5 minutes. According to the test, using software decoding & encoding, it takes 16.29 minutes to rip a feature-length DVD movie to MP4, while its only takes 8.45 minutes with Nvidia NVENC, 9.33 minutes with Intel QSV hardware acceleration. The DVD conversion speed is improved 40%-50%. The detailed test data can be referred in the chart below. DVDFab DVD Ripper is also one of the best hardware accelerated DVD ripping software that can rip and convert DVD disc/ISO Image/DVD folder to many mainstream video & audio formats, popular devices at fast speed with good quality for easy playback on mobile devices. DVDFab all-in-one suit combines DVD/Blu-ray/4K ultra HD copy and conversion, DVD/Blu-ray authoring, Cinavia/DRM removal, and video conversion functions into one program. DVDFab DVD Ripper lets users rip DVD an amazing conversion speed with NVIDIA CUDA and Intel Quick Sync supported. Using the Intel QSV or NVIDIA CUDA tech to rip a full-length DVD to MP4 respectively costs 11 minutes, 9.22 minutes, while using software decoding & encoding takes 18.44 minutes. The 2-pass high quality encoding option doesn't support CUDA or Inter Quick Sync hardware acceleration. Aimersoft DVD Ripper NVIDIA CUDA Users can click "Check and enable GPU encoding" button to utilize computer supported hardware acceleration technologies to speed up the video processing. Wonderfox DVD Ripper Pro NVIDIA CUDA There is an option "Enable GPU Acceleration" on the software interface to enable GPU acceleration. Wondershare Video Converter Ultimate NVIDIA CUDA/NVENC It uses 2% GPU power when encoding a video with GPU acceleration on. If the GPU acceleration works, can it use more GPU power to make the video processing faster? VLC GPU hardware accelerated decoding VLC doesn't use hardware acceleration by default. If you want to use hardware acceleration in VLC, you need to turn it on by yourself. Open VLC, click Tools > Preferences > Input & Codecs > Tick "Use GPU accelerated decoding" box, to enable hardware acceleration in VLC. Brorsoft DVD Ripper NVIDIA CUDA Since the 4.9.0.0 version, Brorsoft DVD ripper has added the support of NVIDIA CUDA technology to largely accelerate the speed of decoding/encoding the DVD/Blu-ray/H.265/H.264 videos. Test Computer: Windows 10 Pro; Intel(R) Core(TM) i7-8700 CPU @ 3.70GHz; 16GB RAM; 64-bit OS; GPU: Nvidia GeForce GTX TITAN X; 8 CPU core. Test Equipment: External DVD driver; DVD: John Carter (DVD main title: 1); test process: DVD to MP4 (H.264). No other program is running on computer when testing ripping DVD to MP4. Cannot turn on high quality encoding under CUDA or Inter Quick Sync mode. Ask users to switch to Software mode. Handbrake can't rip encrypted DVDs and crashed in the middle. Here we test another non-protected DVD. The output video size is really very big. Verdict: The final data tells that WinX DVD Ripper Platinum takes the lead in hardware accelerated video processing, with a mark of smoothly ripping a full DVD movie to MP4 in 9.33 minutes using Intel QSV and 8.33 minutes using Nvidia NVENC (the fastest speed in all products testing), while all others use more time than it. Besides, WinX DVD Ripper Platinum outputs smallest video file size while keep original quality. DVDFab also rips DVD fast. Backing to software encoding really slows it down. Choose common video output format instead of HD when using Aimersoft DVD Ripper, or you will see a horrifying bit rate list starting from 10000 kbps, which may take you a century to finish the DVD ripping and you will get a really big-size file with no clearly enhanced view quality. Hardware Acceleration: In computing, hardware acceleration is the use of computer hardware to perform some functions more efficiently than is possible in software running on a more general-purpose CPU. CUDA: CUDA® is a parallel computing platform and programming model developed by NVIDIA for general computing on graphical processing units (GPUs). With CUDA, developers are able to dramatically speed up computing applications by harnessing the power of GPUs. OpenCL: OpenCL (Open Computing Language) is a framework for writing programs that execute across heterogeneous platforms consisting of central processing units (CPUs), graphics processing units (GPUs), digital signal processors (DSPs), field-programmable gate arrays (FPGAs) and other processors or hardware accelerators. Intel® Quick Sync Video: Intel® Quick Sync Video uses the dedicated media processing capabilities of Intel® Graphics Technology to decode and encode fast, enabling the processor to complete other tasks and improving system responsiveness. NVIDIA NVENC: NVIDIA GPUs - beginning with the Kepler generation - contain a hardware-based encoder (referred to as NVENC) which provides fully-accelerated hardware-based video encoding and is independent of graphics performance. With complete encoding (which is computationally complex) offloaded to NVENC, the graphics engine and the CPU are free for other operations. CPU: A central processing unit (CPU) is the electronic circuitry within a computer that carries out the instructions of a computer program by performing the basic arithmetic, logical, control and input/output (I/O) operations specified by the instructions. GPU: A graphics processing unit (GPU) is a specialized electronic circuit designed to rapidly manipulate and alter memory to accelerate the creation of images in a frame buffer intended for output to a display device. ● Accelerate Video Playback, Conversion etc. ● How to Rip Movies from DVD to MP4, AVI, MOV etc.